Join us to celebrate the birthday of Robert Rauschenberg, one of the most influential American artists of the 20th century. With a lively after-hours toast and tour, we will honor his contributions and contemplate his impact on American art from his time to the present and, undoubtedly, the future. Upon arrival, you will be greeted with a wine reception. 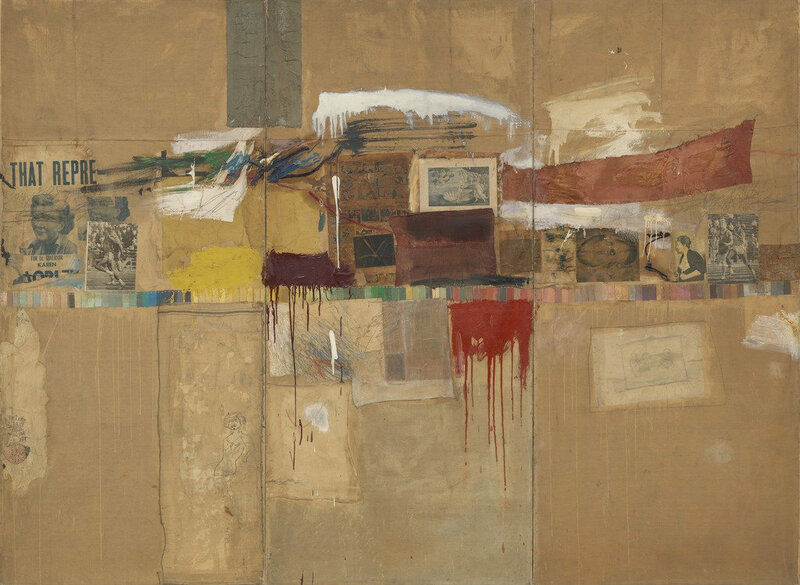 Afterward, an art historian will guide you on an enlightening tour highlighting some of Rauschenberg's most important works—and those of his peers. A limited number of tickets ($85; $75 for MoMA Members and employees of Corporate Members) are available. Check-in begins at 6:00 p.m. Tour begins at 6:30 p.m. and ends at 8:00 p.m. For more information, please contact Group Services at groupservices@moma.org or 212-708-9685. Robert Rauschenberg (American, 1925–2008) Bed. 1955. Oil and pencil on pillow, quilt, and sheet on wood supports, 6' 3 1/4" x 31 1/2" x 8" (191.1 x 80 x 20.3 cm) Gift of Leo Castelli in honor of Alfred H. Barr, Jr.